Lisa Weber is an experienced data analyst with professional experience covering CAD, FM and GIS project implementations across a number of platforms and products in a broad range of industry sectors. The majority of these projects can be described as asset tracking and analysis implementations. She has extensive skills in working with survey, CAD, GIS and Facilities Management formats, and in the delivery of technical teaching and training programs in numerous desktop and web applications, including Oracle and SQL Server. GIS is a highly specialised field that at its core is about data. And while displaying that data is essential, analysing the data to create meaningful and timely information that drives business outcomes is critical. A series of interactive maps and data first produced for the South Australian wine industry in 2012 has been updated in 2018. These maps were hailed as rare, if not unique, in the world when first released and are still highly technical and topical today. A virtual atlas of information about the location and quantity of every grape variety grown in the State has been put online by Vinehealth Australia. A new series of interactive maps and data produced for the South Australian wine industry is being hailed as rare, if not unique, in the world. A virtual atlas of information about the location and quantity of every grape variety grown in the State has been put online by the Phylloxera and Grape Industry Board of SA. 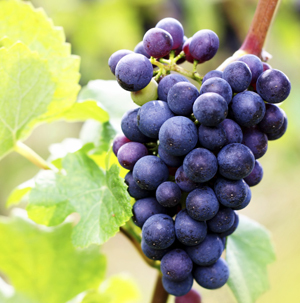 The board regularly collects detailed data from all vineyard managers or grape growers as part of its strategy to prevent an outbreak of the deadly phylloxera insect that has decimated vineyards and wine industries in other countries. The series of interactive maps and supporting data, available on the Board’s website www.phylloxera.com.au, has real time statistics on 200 varieties of wine and table grapes grown in the 18 GI (Geographical Indications) wine regions designated by Wine Australia.